In the AKU convocation ceremony held in Dar es Salaam, Tanzania, on 24 February 2015, 37 graduates received the Master of Education degree; three received the Master of Medicine degree; and 18 graduates were conferred with the degree of Bachelor of Science in Nursing. 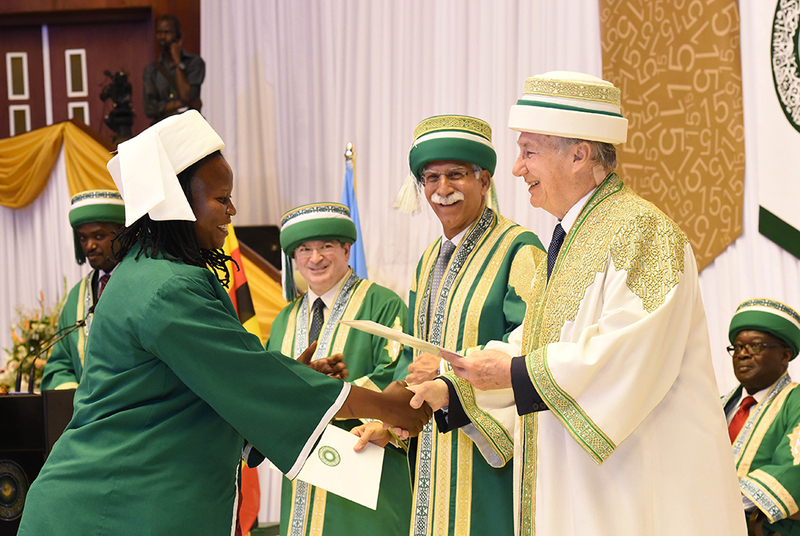 The valedictorian speech at AKU’s convocation ceremony in Dar es Salaam, Tanzania, was presented by Tabitha Alexandria Njeri Nyanja, a graduate of the Master of Medicine programme. 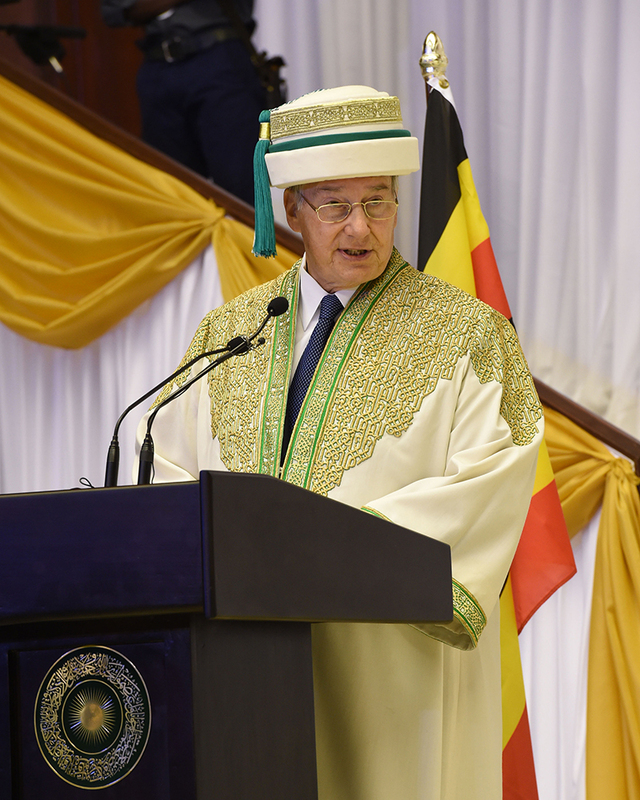 At the graduation of 49 students from the School of Nursing and Midwifery and eight students from the Institute for Educational Development in Uganda, His Highness the Aga Khan spoke of the “multiplier effect” that they would have in building civil society. 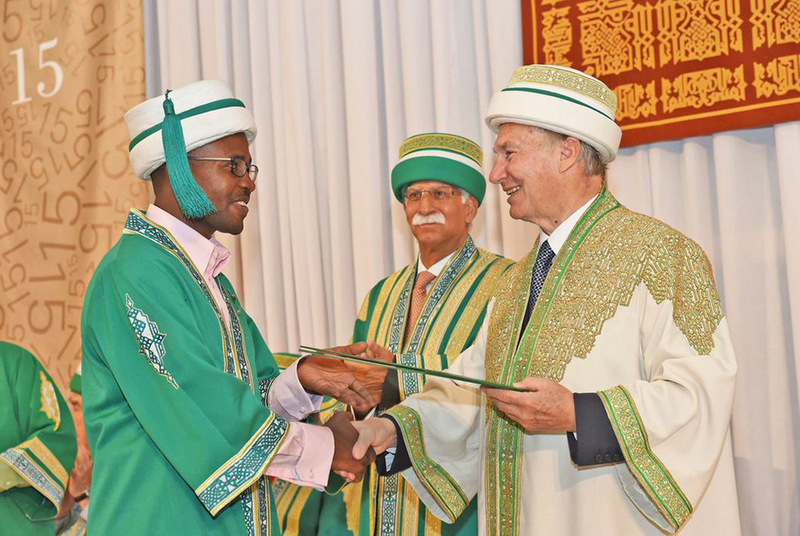 As Chancellor of Aga Khan University, His Highness the Aga Khan presented diplomas to the graduates of the ceremony, held in Kampala, Uganda, on 26 February 2015. 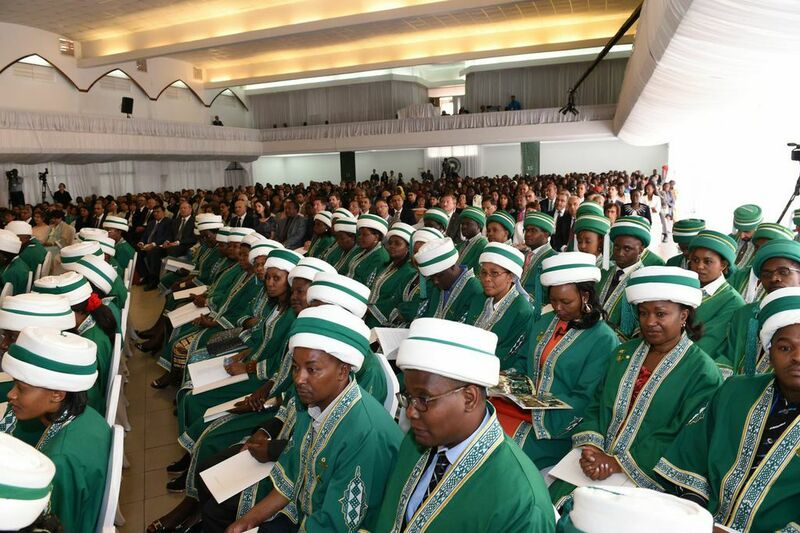 Among the graduands of the Nairobi convocation ceremony were 87 students of the Medical College’s Postgraduate Medical Education programme and the School of Nursing and Midwifery. 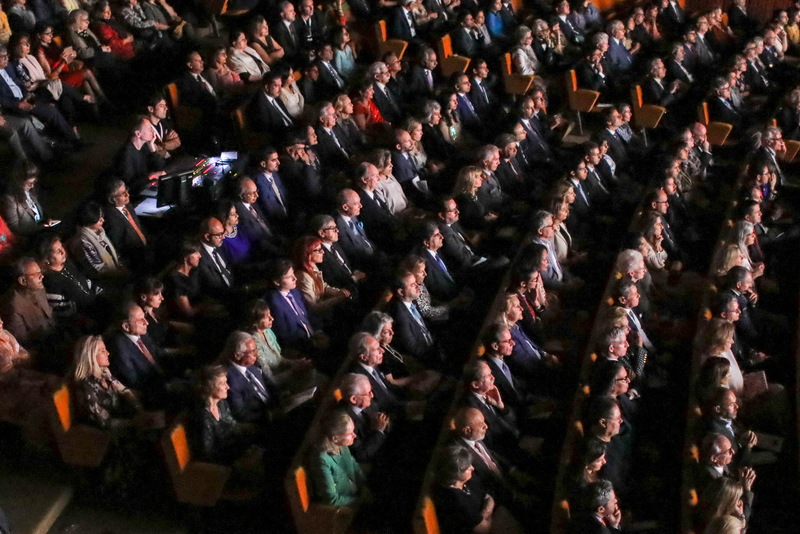 Twenty-one students were awarded Master of Medicine degrees, alongside 39 Bachelor of Science in Nursing and 27 Diploma in Nursing graduates. 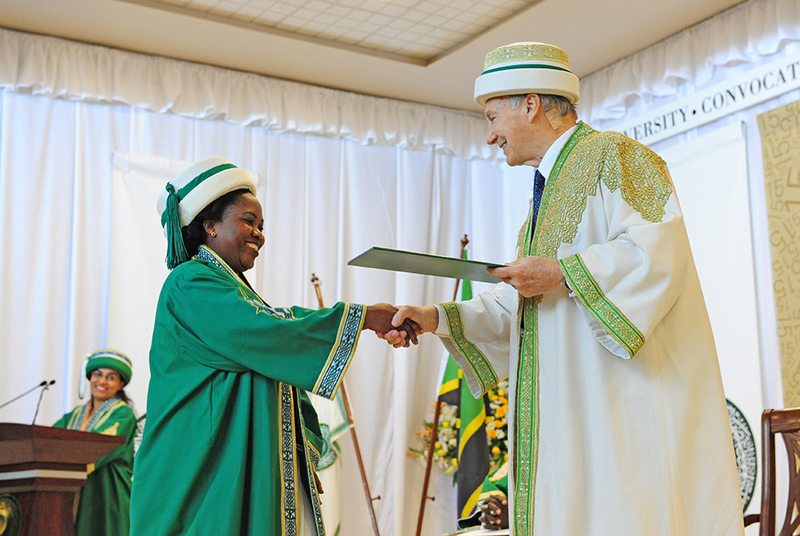 At a ceremony marking the graduation of students from the Aga Khan University in Nairobi on 2 March 2015, His Highness the Aga Khan announced that the University will offer undergraduate degrees in Medicine and Nursing, as well as graduate professional education, as part of an investment in the region totalling over US$ 1.1 billion. 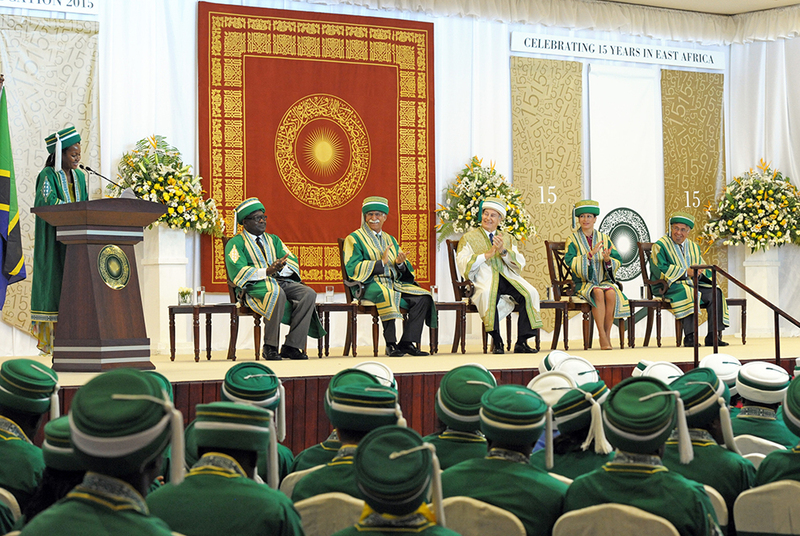 Dar es Salaam, Tanzania, 24 February 2015 - The convocations at the campuses of the Aga Khan University (AKU) in Tanzania, Uganda and Kenya, are part of an expanding investment in education in East Africa. AKU has announced plans to invest over US$ 1.1 billion in East Africa over the next 15 years – the largest investment in higher education in the history of the region. The ambitious plan envisages the establishment of a Faculty of Arts and Sciences, a number of graduate schools including Hospitality, Leisure and Tourism, and Architecture and Human Settlements in Arusha. 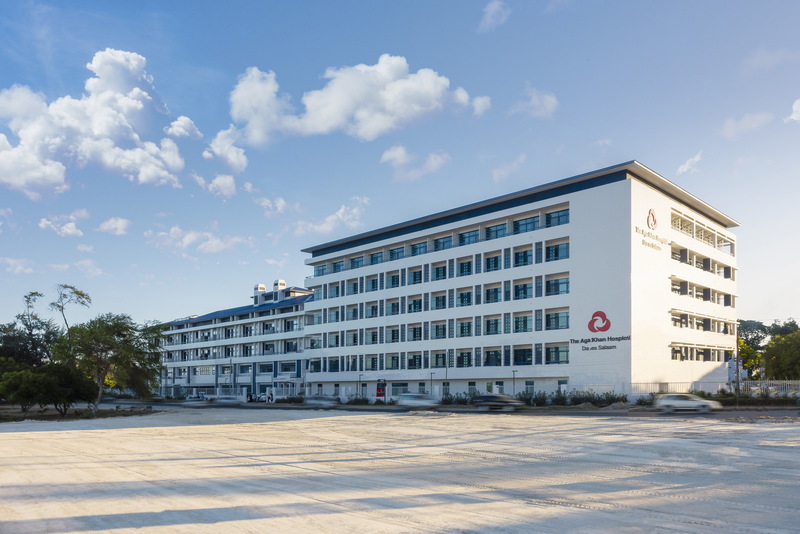 A new campus for AKU’s Institute for Educational Development will be constructed in Dar es Salaam, along with the establishment of an executive, professional and continuing education school.